❧ My perfect vacation destination. My ideal vacation spot would be in: Turks & Caicos. There's so much about that place that's always been appealing to me. The white beaches, the crystal clear blue ocean and the fact that it's quiet. 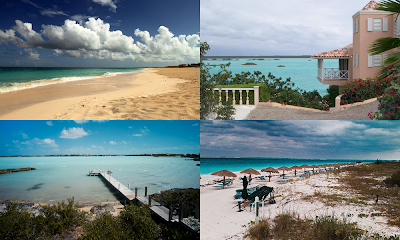 Tropical places are always a popular choice when it comes to vacation spots but, to me, Turks & Caicos seems different than the rest. Many people choose the Bahamas and even Hawaii but this place seems more tranquil, like you can really just go there to relax and enjoy the comforting sound of the ocean. I hope to go there someday and really have the opportunity to explore what each of the islands have to offer.